January...in Krakow for our first ever JV marriage conference. God richly blessed this time for all our JV couples as they soaked in God's Word, spent quality time with each other and made changes in their marriages as God led them. March...Caleb developed a rapid case of pneumonia and was hospitalized for nearly a week but after great care in the Czech hospital, recovered. March...Dave is unusually sick for a week with the flu, which leads to finding out he needs open heart surgery. Crazy turn of events! And yet at every turn, God led and cared for him. April...I had the privilege of going to the States to speak for the Grace Church of DuPage ladies retreat which was a delightful time for me...then went on to visit my parents in Oregon by myself for the first time since before having children! Flew back to Chicago, assuming I'd continue on home but ended up being stuck for a week due to the Icelandic volcano that blew! Had extra time with Tyler at Moody, which was a blessing! May...Dave has open heart surgery that is successful, spends a month at home in recovery which was actually a very sweet time! My best friend from the States came during that time and we had some wonderful days together in the midst of all that. May...Tyler comes home from Moody to spend the summer as a JV intern in Croatia - we were able to meet up with him at the end of the summer for our annual camping vacation in Croatia. June...off to Gull Lake Ministries in Michigan where Dave spoke for a week - definitely one of the highlights of the year for us. November...Dave breaks his ankle at our JV Thanksgiving celebration but has it taken care of in at the local clinic in town for $2. So thankful for Czech insurance! December...the day before my parents were to fly here for Christmas, my dad goes to the emergency room with heart trouble and finds out he needs a pacemaker implanted. They put it in the very next day. So thankful for God's provision and care for my dad, even though it meant they weren't able to come. December...in spite of a change of plans, the Lord blessed us with a very meaningful and sweet Christmas together. There are certainly many more stories I could add to this list...but these highlight the goodness of the Lord in 2010. I'm excited for all that He has for us in the year to come! The Patty family is wishing you all a beautiful, meaningful and joyous Christmas!! Several friends here have had, or are having, babies these days. It sure makes life fun with these precious little ones around! And it's a time of life when I really enjoy blessing them by enjoying their children! Dear little Annika and Abigail came to visit me today (with their moms!). We had a little Christmas celebration together, us five girls. While the girls slept (the babies...not the moms! ), we had coffee, tea, goodies that Claire had baked...we opened gifts...we sang...we laughed...and we shared in the joy of celebrating the birth of Jesus. It was a delightful morning with my two precious girls...and their moms! Just a quick note to say that Tyler arrived at the Krakow airport from Chicago today, despite bad weather in a lot of places. Although his plane was late, and the roads home were snowy, icy and scary...we're all home safely tonight, sleeping under one roof. Even though my parents aren't here (and by the way...my dad is tired, but doing well as he recovers from having the pacemaker put in) there is so much to be thankful for this Christmas...my dad's alive, for one! And of course thankful that the five of us get to be together again for a few weeks. But mostly thankful for the baby who came all those years ago. He means the world to me! Having grown up in Oregon, I'm much more used to rain than snow. In fact, I can only remember one big snow storm when I was growing up - January 1969 when I was 7 years old! Within two days we had three feet of snow! It was probably chaos for the adults, but oh so fun for us kids! Even though we live in a snowy region now, it's still special to me every time it snows. Well...okay...maybe not when it snows in March or April! But in December, I'm still loving it! The hill I drive up and down every day...always hoping that they've graveled it before I drive on it! Just happened to take the photo when the deer was going by! Thought I'd post a few pictures to give you an idea of what our winter wonderland looks like right now! Thanks to so many of you for notes you've written and prayers you've prayed for my dad. It means the world to me, and to him. It's Monday morning...the one I had been looking forward to for a while - when the kids were in school and Dave was at the office, and it was just my parents and me here at home for the morning having coffee together and talking. But they're not here and the reality is, it's sad. The good news is that the surgery to put in the pacemaker went well and my dad's heart is beating steadily now - probably for the first time in a long time. The doctor said this problem, and its resolve with the pacemaker, could actually be the answer to some other problems he's been experiencing. What a great gift that would be to my dad, and all of us, if it's true. He spent two nights in the hospital but was able to go home on Saturday afternoon where he's been resting since then, and will continue to for the next weeks. When he's feeling better, they'll think about rescheduling their trip out here for this spring sometime. We're readjusting to what these days will look like now that my parents are not coming. Somehow the Lord has something different for all of us than what we'd planned for this Christmas. Knowing the Lord and His ways, it will be a blessing to all of us, even though it's different. Two years ago when we discovered that Caleb, Claire and I are all gluten intolerant, we gave up, among other things, bread. At first it was hard - we missed sandwiches, we missed toast in the morning. We missed all the good bread that's available here in Czech. I tried my hand at making gluten free bread but given the lack of available, unusual ingredients necessary, I pretty much gave up any hope of having bread on a regular basis, and we've just learned to live without it. Enter...DM! What is DM you ask? My favorite drugstore in the Czech Republic. And why a post about DM today? Until a week ago, the nearest DM was in Ostrava - a 35 minute drive away. They carry a limited range of gluten free products which I stock up on when I'm in town. But last Friday...a new DM opened up right here in our little town of Frydlant! Honestly, I've been so excited as I've watched it being built this fall...I could hardly wait for opening day. And yes, you better believe it...I was there on that very day in spite of a snowstorm! The best news though?? They carry an awesome gluten free bread that was never even available at the other DM!! And...it's not just any old gluten free bread as we've found out...believe me, I've had some bad ones! But this one tastes, toasts and looks just like real wheat bread. Sometimes it's just the small things in life that count...and today I'm thanking the Lord for DM and its Rustico gluten free bread. 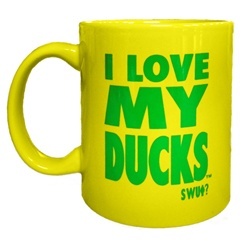 Born just one block from the University of Oregon campus, it was inevitable that I would grow up to be an Oregon Duck fan. Actually...you really can't live in Eugene, Oregon WITHOUT being one! Seriously...being a Duck is taken very, well...seriously!! 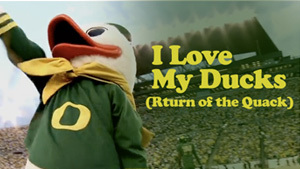 I went to U of O games when I was young, spent my freshmen year of college there, worked in the concessions for football and basketball games, sold U of O merchandise for the university at the local mall, and have cheered on the Ducks from afar for years. And it finally paid off!!! The U of O football team is undefeated this year and going to the BCS bowl game (the most prestigious college bowl game in the country, I might add!) against Auburn on January 10th!!! I have a JV friend who is an Auburn alumni...so of course my Ducks better pull through or I'll be eating humble pie for a while! One of those hopes was for a friend of ours who I was hoping for a miracle of transformation in her heart. And in the past five weeks, I have definitely seen signs of that transformation. "Oh Lord...THANK YOU!" She needs this transformation so badly...even she knows how much she needs it. We've been meeting regularly to pray and talk together, and each time there is a softening to her that I've never seen in the years I've known her...it's even visible on her face. But God's work is not done yet...so I'm still hoping and believing God for His sovereign, beautiful, transforming work in her life. The other thing I was hoping for...perhaps less "spiritual" but nonetheless meaningful...was a visit from my parents for Christmas. And this hope has been fully realized! My parents are coming for Christmas (and will stay a whole month!!) for the very first time since I've lived in Europe. Over the past 27 years, I've spent 24 of those Christmases without my mom and dad...the three I was with them for were in the US. Honestly...it never gets easier to be away. I miss them every year, even though I have a wonderful husband, awesome kids, and precious teammates to celebrate with. It's a sacrifice my parents have lovingly made all these years. They didn't sign up to have their daughter be a missionary living far away. Yet, they've graciously let me go with no strings attached...no bitterness, just love. It's a sacrifice I've made to follow God's calling in my life. I DID sign up for this! And my life is full, rich and blessed because of it. But I still miss my parents. So to have them come for Christmas this year is just AWESOME!!!! We talked on the phone tonight about all the things we'll do together while they're here...we have PLANS! But the ones that I'm looking forward to most? It's the simple things. Waking up in the morning and having coffee and breakfast with my mom and dad....sitting by the fire in the evenings together and talking...having my mom do my laundry...HA HA! She offered!!! Who am I to say no to that??!! Thank you Lord for hearing my "hope" and for answering. Every year as I'm packing up the Christmas decorations, I vow to put them up earlier next year. It just seems like there is never enough time to enjoy them as the holiday season speeds by. Of course one of the perennial problems is getting a tree that will last through the season. That's often reason number one for taking the decorations down early around here. Years ago, when we first moved to Czech, it was next to impossible to get a nice live tree - no Oregon Noble firs of my childhood to be found anywhere! Oh there were live trees...but they looked like they were more on the "Charlie Brown" side of things - not what I envisioned for gracing our home for the Christmas season. So we opted for a fake...errr...artificial one (that sounds much better than fake!) for many years. The one time that a friend of ours actually went out into the woods and cut one down for us, it died literally within a week...no idea why. I had to put the artificial one up anyway, just to get us through that Christmas. Now here we are...rolling into the 2010 Christmas season...my vow from last year tucked away, as usual, in the recesses of my mind. Last night as we got home from church, I was just thinking about what to make for dinner - the thought of Christmas decorating was no where in sight. But our kids had a different idea...and six hours later, with the vow pulled out from its dusty place in my mind, willing and helpful family members hard at work (Claire even baked cookies!) and our favorite Christmas CD playing in the background ("Angel Tree Christmas" - awesome CD! )...our house was transformed into a Christmas paradise in NOVEMBER! Granted it's almost the last of the month...but this is a first in our house! And you know...I like it! Especially since it snowed last night. A lot. We woke up to lots of snow gently falling, the scent of a fresh tree wafting through the house (which we chopped down from our yard...yep, we did! Well...Caleb did. But I stood there and photographed the event! ), and decorations everywhere. It honestly happened so fast last night that it felt almost as if an elf came in the night and did it all for us. Of course this elf was up finishing things until 12:30. But still! It was such a beautiful sight to wake up to. And now I feel like I have time to enjoy this Christmas season, perhaps like never before. I'd love to be like the Shepherds of old, who upon having seen the baby Jesus, returned to their normal lives glorifying and praising God for all the things they had heard and seen. That's my Christmas wish for myself this year! In 1993 we had only lived in Czech two weeks when Thanksgiving Day arrived. Days before that, Laura Hash (she and Dan had moved to Poland at the same time we moved to Czech) and I decided that we should do a meal together to celebrate...but neither of us had ever cooked a whole Thanksgiving dinner before! After a flurry of phone calls back to Germany (to my mother-in-law and to Jim Miller, a friend of ours who is known for his cooking skills!) we attempted the meal with fairly good success. I must add that turkeys were hard to come by back then, so our little bitty turkey that year was found by Laura in the deep freeze of a Polish grocery store, and who knows how long it had been there! Yesterday as we gathered at Malenovice with 72 JV staff and kids (which is just a quarter of our team now), I had such thankfulness in my heart for all that God has done during these years since then...and for large, fresh turkeys that we now have (takes four big ones to feed us all!). We loved life back then, but we love it even more now! Our team has grown many times over since 1993, and that's a huge blessing and delight to us. We have much to be thankful for these past 17 years! I've written about this before so if you're a regular reader, you may remember what "šluskolona" is. But in case you don't know I'll just say it's one of my favorite cultural events here in Czech! High school kids take dance lessons in the fall for about 10 weeks, have one ball halfway through, and then have the final one at the end of those weeks. Last night was Claire's "šluskolona", the final event of her dance lessons. From the moment the 35 couples made the promenade into the cultural center, to the end of the evening...it was a beautiful event!! And yes, I admit to a few tears throughout the night! When they danced a waltz to Doris Day's "Que Sera,Sera" and I heard the words, "When I was just a little girl, I asked my mother what would I be..." it just took me back to when Claire was a little girl (not that I ever sang that song to her, or she ever asked the question!) - and now, seemingly in the blink of an eye, here she is a beautiful young woman. She and her dance partner, Noah Ellenwood (one of our JV kids who attends high school with her here in Frydlant) danced nearly three hours...the jive, waltz, cha cha, polka, country dance, mazurka, valčik, tango, fox trot, and rock and roll. During the presentation, moms and dads are "required" (I guess you could decline if you wanted but we didn't!) to participate with either their child or their child's partner. Noah and I danced two dances together, with him leading me in steps I didn't know! As we danced it made me wish that I'd had this experience when I was in high school so I could learn all those great dances!! After the official presentation is over, they open up the dance floor to everyone. Moms, dads, grandparents, siblings, friends...everyone takes to the floor and you can barely move around without running into someone! But it's so fun - we wouldn't miss out on it for the world! This was one of those nights when I was so glad I get to live in Czech! By the way, this week we celebrated 17 years of living here! Sometimes I just want to update my blog because it keeps track of life for me...what's going on, what I'm thinking about, what I'm thankful for. And it lets you into my world a little bit! So...going for the "thoughts" post again tonight! Outside my window...it's dark, 10:20 PM, and WARM! The weather has been crazy warm these past days...it's 60 degrees tonight. Honestly, sometimes we don't have it this warm on summer nights! I love it! I am thinking...about Dave and Caleb who should be on a plane back from London right now. They left yesterday morning, very early, with Dan and Jacob Hash, Mel and Noah Ellenwood, to head for London to see the Denver Bronco's play the 49ers! It was Jacob's 16th birthday and this was his very cool celebration with his best buddies and their dads...who are also best buddies! After seeing the game yesterday and spending the night, they hung out in London today - not even sure what they did! But I'm sure I'll hear all about it tomorrow. They get home about 2 AM so I won't see them tonight. I am thankful...for a friend's words of encouragement today. Ahhh...like water to a thirsty soul! From the kitchen...broiled salmon and a balsamic vinegar, dijon mustard, garlic and olive oil dressing on a salad of roasted veggies and fresh spinach. Claire and I were eating good tonight while our men were away! I am wearing...nothing very exciting! Though I do have on my cute pair of Libby Edelman flats that I stumbled on last year when we were in the States and they're still my FAVS! I am reading...a new issue of "Runners" magazine. I always get SO inspired when I read that magazine! I'm getting in about 10-12 km a week these days. Not a lot...but it's something! 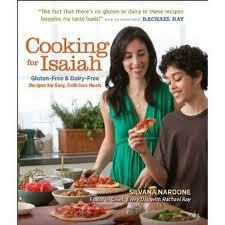 I am creating...lots of yummy food these days! This fall has been another tough run for Claire and Caleb's sensitive tummies. We're mostly back to our original diet from two years ago of just eating meat, fish, veggies, fruits and nuts to help them heal again...so I have to be really creative to keep us from getting bored in our meals! It's a challenge but I actually really like it. I love it best when Dave says, "Wow...this tastes like it's from a fancy restaurant!" That's my best compliment. I am hearing...the crackling of the fire downstairs...yes, I have a fire even though it's warm outside! There is just something about a fire in the fireplace on a fall evening that I can't resist! I am praying...for our long time friends who are getting on a plane tomorrow to come see us and check out JV...we're hoping the Lord gives them clarity about their future, and that He leads them here! We love them and would so enjoy serving alongside them here. Around the house...our lawn looks the best it has all year! We have had SOOOO much rain this year that much of the time our yard has been a swamp...it doesn't drain very well because of our clay soil. So we haven't had our regular 'park-looking' lawn for quite some time. But after all this dry, beautiful fall weather it finally dried up enough to mow on Sunday (which Caleb and I did!) and looks beautiful. Kind of crazy that it looks this nice in November...I missed it looking nice all summer! One of my favorite things...being with girlfriends! Two friends came over for lunch yesterday and we had the best time just being girls together! A few plans for this week...hear about the guys' trip to London, pick up our friends coming from the States at the train station on Wednesday, give them a "living in Czech" day on Friday where I'll show them all about life here...looking forward to that! JV Website - New Look! Our new JV website was released yesterday!! Would love for you to go check it out! In two weeks it will have been 17 years since we moved here. Wow...how much has changed during those years! In November 1993, we were just two couples and our two kids! I'm so thankful for great team of people God has called into this ministry since that time - nearly 200 on our staff now, and way more missionary kids than I can even count! I'm especially grateful for all that God is doing in the lives of young people and young leaders across Central and Eastern Europe. I think you'll enjoy poking around the new website and reading about it all!! I am thinking...about where my family is today. Dave is in Wheaton, IL for JV Board meetings, and will go downtown to have dinner with Tyler tonight - they'll be sharing together tomorrow in the morning service at Grace Church of DuPage. Caleb and Claire are in Slovakia visiting one of our JV families and seeing the Exit 316 Tour there this week-end. I am thankful...for six hours with a friend yesterday...coffee at a cool new cafe, dinner at my favorite restaurant. From the kitchen...Lentil soup, gluten free blueberry-cinnamon scones and salad...having friends, Jonny and Lisa, to share it for dinner tonight. I am wearing...my red Gull Lake sweatshirt and new, fuzzy, black Crocs that just came in the mail. Makes for a cozy, fall afternoon! I am reading..."Hoping for Something Better" by Nancy Guthrie...a study on Hebrews. LOVING IT! I am hoping...that this coming week will fly by. Dave comes home a week from today - already ready to have him home again! I am going...to call my dad and mom and tell them thanks for the Pumpkin Spice coffee syrup that they sent me a while ago so I could have my favorite fall latte this morning! I am creating...a new collage on the wall outside my office here at home...have paintings and pictures at the framer and will pick them up on Monday. They are all original art from my kids, including the oil painting that Tyler gave me for my birthday! I am hearing...quiet, quiet, quiet. It's an odd feeling to be at home all alone...except for Lily, the dog, who is sleeping peacefully downstairs. I am praying...for a supernatural work of the Lord in the lives of friends we are in the middle of counseling. Around the house...and all around Frydlant - brilliant, beautiful displays of God's cleverness in giving us seasons! I sure love seeing leaves change into so many gorgeous shades of color. One of my favorite things...latte and my Bible, sitting in my favorite comfy chair being with the Lord in the morning. A few plans for this week...prepare the apartment over our garage for dear friends who are coming to stay with us for two weeks to check out JV! A picture I am sharing...of our family all dressed up last week on our way to Claire's ball for the dance class she's taking. It's not every girl who gets to go to a ball on her 16th birthday. But thanks to dance lessons here in Frydlant, that's what Claire got to do on her birthday this year! Every fall, dance lessons are offered here in town for high school students from this area. About 50 pairs of students go each Friday night to the cultural house, throughout the fall, to learn the tango, the cha cha, the waltz...and many other dances along the way. It's also instruction in etiquette - how a man treats a woman, and how a young woman responds to a man, particularly in social situations. Claire is going with Noah Ellenwood, a friend of the family and fellow JV Kid for the past 13 years. It's a safe match for both of them as they're more like siblings or cousins than anything else! Twice during the fall, they have the opportunity to participate in a ball and show their skills to parents, siblings and friends. One of those balls this year fell on Friday, October 8th - Claire's 16th birthday! We all had fun getting dressed up and heading to the ball to watch not only Claire and Noah, but many other friends of theirs (Hayley Ellenwood, Noah's sister, being one of them!). For the first couple of hours they danced with their partners, showing what they've learned so far. And after that...we all got to dance! It's such a great evening - kids and parents, friends and siblings, as well as teachers from school - all gathered to share in this fun, community event! My girl is 16 today...so happy to celebrate CLAIRE on this day!! Born in Germany, she came home to Czech 3 weeks after that...and has been growing lovelier ever since! We started her day with gluten free pumpkin pancakes (my best pancakes ever! ), then she was off to school. She's out for tea with friends now, then will come home and get ready for her "pulkolona" - the "halfway through her dance lessons" ball! It's kind of cool that it's happening on her birthday..she will definitely never forget turning 16! Will for sure blog about that afterward. Then tomorrow we're off to Vienna for the day to celebrate her! She wanted to go to the Albertina museum - there's a new Michaelangelo and Picasso exhibit there...and lots of other fabulous art. Gonna be a fun day...oh and a stop at the Starbucks next door is probably in order too! Happy Birthday my dearest daughter!!! 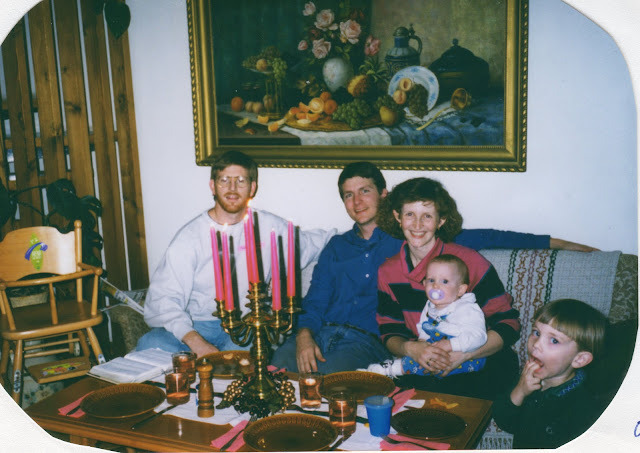 When Dave and I married in 1987, Dave was not only leading Malachi Ministries, but he was also running a youth group on a military base in Karlsruhe, Germany. I got "grafted in" to the youth group as Dave's wife, and came to love those first youth group kids like they were our own children! We spent hours and hours with those kids - sleepovers, retreats, lock-ins, ministry team meetings, hikes, lunches at the high school, New Year's Eve all-nighters, chaperoning dances, Bible studies...what great memories! Through the years we've stayed in touch with many of those "kids" (who were only 8-10 years younger than us at the time!). We visited them when they were in college, had a reunion once when we were living in Wheaton, stayed in touch as they began to marry and have children, wrote scads of e-mails and connected through Facebook in later years...and occasionally we've seen a few of them. This week-end one of our "kids" came to visit! She and her family are living in Germany now, so she was able to take a cheap Wizz Air flight from Frankfurt to Katowice and come spend the week-end with us. The verse that came to my mind all week-end as we enjoyed time together with Tracey was from 1 John 3, verse 4 - "I have no greater joy than to hear that my children are walking in the truth." It blesses me to know that the investment we made in Tracey's life years ago has borne fruit for many years since, as she has faithfully walked with the Lord! Six of the Romanian girls that we were with last week at their conference, came to our JV conference here this week! In December 1991, when Dave and I were first contemplating a move to Eastern Europe, quite honestly, I was having a hard time picturing what that would mean for me. At the time, we were in the States while Dave was getting his Master's degree at Wheaton College. I was a bit "lost" then, missing the girls I had been discipling in Germany (with Malachi Ministries), looking forward to the day we would return. Dave came home from a chapel service early in September and strongly felt the Lord had spoken to him about us moving to Eastern Europe to work with youth. I wasn't so sure about that. Fast forward to December, in a motel room in the Puget Sound near Seattle, Washington. We were spending Christmas with my parents and our one year old, Tyler. My mom and dad offered to take him for a night so that Dave and I could get away. So there we were in a motel room. For several months, I hadn't wanted to talk about the possibility of moving to Eastern Europe. Dave, being a wise husband, chose to just pray and trust the Lord that if He was calling him, he would also call me. Secretly, I was glad he was "just" praying - I felt that let me off the hook as I was sure there was NO WAY God was going to call me away from Germany and to Eastern Europe. Back to that motel room. Dave stepped out into the hall to get ice from the ice maker (do they still have those things in motels these days?!) and left me watching a gymnastics qualification meet for the upcoming 1992 Olympic summer games. I wasn't thinking about anything except how nice it was to be alone with Dave, how much I like watching the Olympics, and how kind it was of my parents to take baby Tyler for the night. If you've read this far you're probably wondering...what on earth does this have to do with the lunch at your house yesterday?! It really does relate...keep reading! Without explanation, in the five minutes Dave was out in the hall getting ice, God spoke to me. It was the first time in my life that I clearly heard His voice. To this day I don't know if it was audible to anyone else (if they'd been in the room with me at the time) or if it was just a quiet whispering in my mind. But it was very clear. "Connie, do you think you would love those girls any less than the girls you have loved in Germany? Look at those faces...look at those girls. I will give you a love and heart for girls just like those girls you're watching right now on TV. Trust me to take care of you and I will bless you with special relationships with those Eastern European girls, just like you've had in Germany with the American girls." That moment of hearing from the Lord, changed everything for me. Dave walked back into the room to a wife who said, "I want to talk about moving to Eastern Europe"...and that was the beginning of an amazing, nearly 20 year journey, of being a part of God's work in the lives of young people all across Eastern Europe. And who were those beautiful girls God pointed out to me when He spoke to my heart in that motel room? They were the faces of Romanian gymnasts! Last year when I stood in front of the room full of Romanian girls at the conference I was speaking at, I was overcome with emotion that God had brought me full circle with the words He had spoken many years before. We didn't end up moving to Romania, but there I was loving a group of Romanian girls! And now yesterday...I had a group of precious Romanian girls at my house here in Czech!! And truly, I can tell you that I LOVE those girls...as I have loved many Eastern European girls through the years! But the Romanian girls will always have a special place in my heart because of how God used their faces to call me to Eastern Europe. Months ago, our friend from Romania, DU, wrote to my friends, Amy, Laura and I, asking if the three of us would consider coming to speak at their girl's leadership conference in September this year. Each of us have spoken at this conference in Romania - Laura in 2007, Amy in 2008 and me in 2009. Now we had the privilege of going there together to speak! After traveling 22 hours on three different trains (even spent the night in a sleeper together...a great slumber party! ), we arrived in Brasov, Romania where DU greeted us on the train platform. How good it was to be there again, all together! We spent three days with 115 Romanian women sharing our lives, our stories, our relationships...speaking about women friendships and how the Lord wants us to live and love each other better. We specifically looked at four poisons that damage women's friendships: our "self" (such as self protection), betrayal, comparison and unforgiveness. What a powerful time it was as these women really dug into processing these areas of their lives...as did we. It was such a precious time together, talking about these sorts of things. Many said that this is an area that they've heard little or talked much about - yet that it was things they often think about. We're glad we could open up this topic and be a small part of bringing healing into relationships between them and others they are in relationships with. It was equally good for the three of us...we've been friends a long time (Laura and I, 26 years; the three of us for 13 years), but we've still got lots to grow in and want our friendships to go deeper. So we're glad we had the privilege of doing this together so that could happen! He has given us so many tastes of heaven these past months since I last blogged - I feel like I'm going to burst from joy as I think about what He's lavished on us. I really want to capture all His goodness so I remember it and can give Him thanks for it even years from now...but sometimes it's just hard to know where to even start when I think of all He has poured over us. Especially hard to know where to start when I haven't blogged about anything in two months (sorry Mike! That's my brother and faithful blog reader who often keeps me going on this blogging thing!). It might be lame to start off with the proverbial theme of "What I did for summer vacation", but hey! Truly there were glimpses and tastes of heaven during our vacation this summer that I want to capture. For the past 8 years we have vacationed with the same three JV families - Ellenwood's, who live here in Czech, Hash's who live two hours away from us in Poland, and our family. The 13 of us have camped in Croatia six times, and in France and Greece as well. Right there gives you the first glimpse of heaven...seeing God's amazing creation in all those different places! My eyes literally feast on all we see during our two weeks together. Then there's the taste of relationships that point me towards heaven...how I love being with these people who all love Jesus like I do! How cool it is to spend time with each other, knowing that our hearts all beat for the same thing...adults and kids (who are not really kids anymore...but I call them that anyway!). It's just awesome on vacation listening to conversations that are sprinkled with loving, kind, encouraging, and sometimes even challenging, words that end up pointing me/us back to the Lord...and it happens between everyone! We also taste some of the best food while on vacation...the "finest of fare" we often say! I don't mind telling you that we pull it on out on vacation when it comes to food! 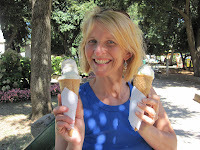 From Creme Brulee flavored coffee each morning at our campsite, to amazing meals at night, to Croatian ice cream that is, what we think, the best in the world...we do "taste" a bit of heaven when we're there! One of the nights we were in the campground, there was an absolutely spectacular show of shooting stars - I think we heard that there were 100 or more every hour that night! All thirteen of us went and laid down on the beach, in the pitch black, on the smooth rocks still warm from the sun, and let our eyes gaze on another one of God's gorgeous displays of Creation. It was one of the highlights of the trip! Wish I had a picture to capture it but...well, you know, it was dark! God is GOOD! Just wanted to affirm that and say thank you to HIM for such a sweet taste of heaven while on vacation this year! More glimpses of heaven to come...when I find some more time to blog!